Congratulations to Cara Schengrund’s horse Awen’s Rock Star a.k.a ‘Betz’, as she continues her winning ways and proves that she can play with the big boys. 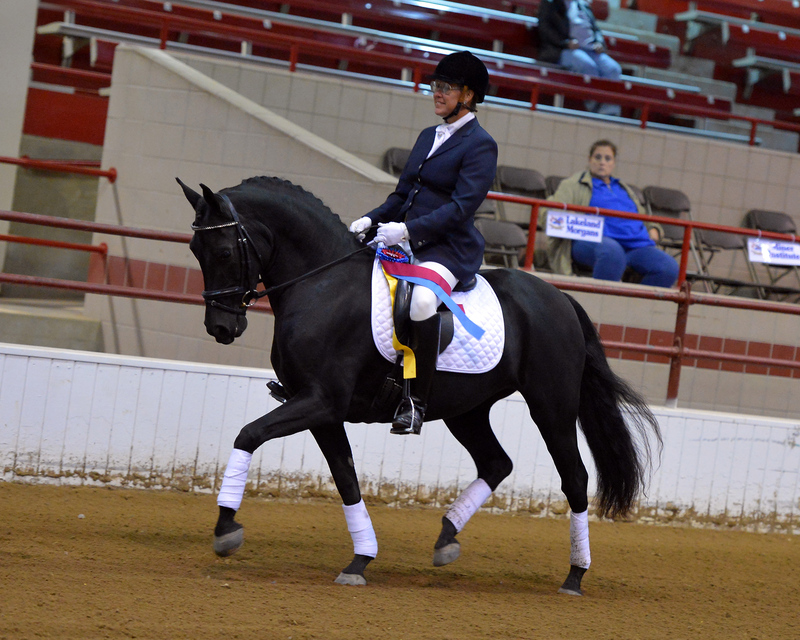 Morgen Regional Championships Fourth Level Champion ~ USEF Regional Fourth Level Champion. Congratulations on a very successful year! Congratulations also to Cara Schengrund on the purchase of her new horse, Blue & White Glamour a.k.a. ‘Rou’. Looking forward to getting this young horse into the show ring this year. Check out Hy-Hope Stable on facebook! Hy-Hope Stable, LLC is located in the rolling hills of Southern Chester County. 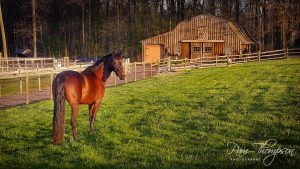 The farm is owned and operated by Pam Thompson, who lives on the property and personally manages all aspects of the horse’s care and training as well as teaching riding lessons. Pam is a USDF Bronze Medalist and specializes in bringing young horses up through the levels of dressage. The facility offers individualized care and full time turn out. 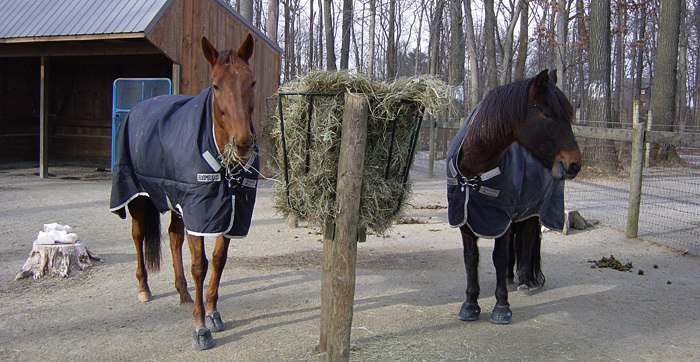 Horses are placed in small select groups with run-in sheds and safe well maintained fencing. Each pasture has heated Nelson bowls which provide a constant source of fresh water which will never freeze. Hay racks keep hay fresh and dry. The barn offers a wash stall with hot water and a heated tack room with a bathroom. There is also a 20 meter round pen for training and a large fenced in riding area. A special feature at Hy-Hope Stable is our dry lots. When they are not grazing, the horses relax in a natural, well protected, tree-shaded environment. This has been especially attractive to owners with horses who have grass issues due to laminitis or weight problems. They allow horses the freedom to be turned out without having to wear a muzzle. These paddocks have also been helpful for hoof rehabilitation, by replacing the large muddy areas where horses tend to stand, with a dry solid footing made up of screenings. This porous material minimizes standing water often associated as a breeding ground for the West Nile Virus and actually stimulates and improves good hoof health. Our dry lots are cleaned twice daily which also helps to prevent parasite problems. With these dry lots we are able to preserve our grass pastures when they are wet, which makes for lush grazing in the summer.